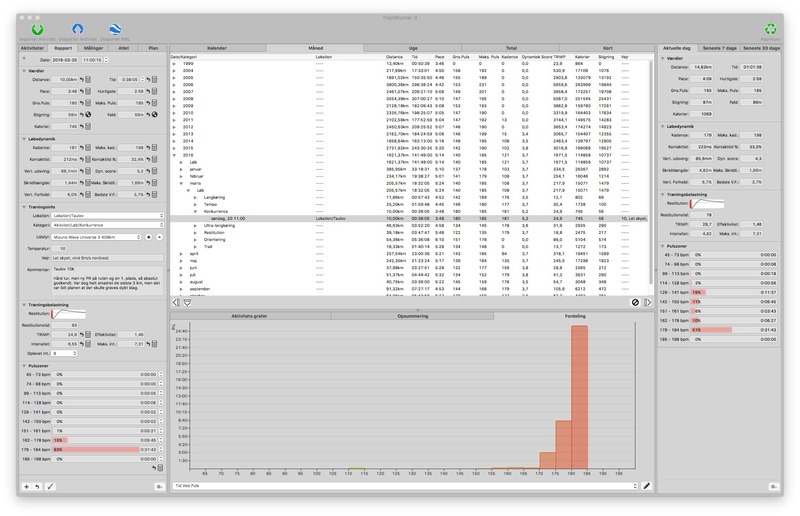 Is there a better alternative to TrackRunner? Is TrackRunner really the best app in Health and Fitness category? Will TrackRunner work good on macOS 10.13.4? 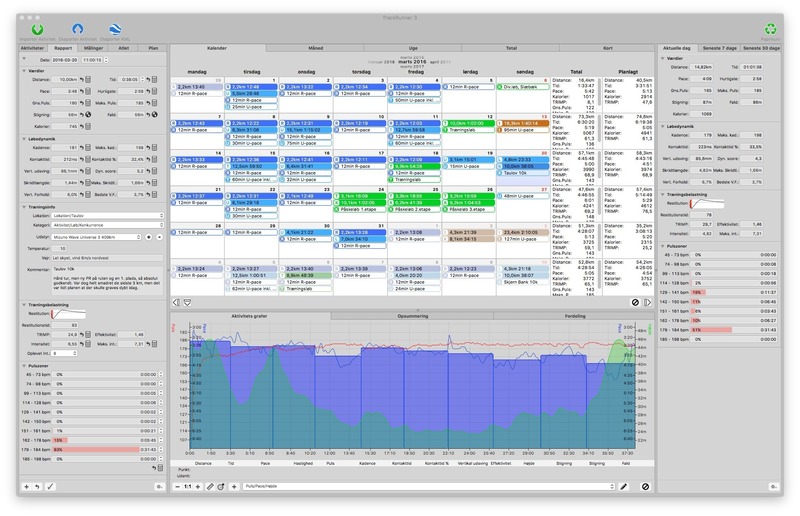 TrackRunner is an exercise logbook for Mac, designed to help mainly runners but also cyclists to organize and analyze their training data better. Coupled with a GPS devise, you'll be able to log your workouts and keep track of distance, time, elevation, heart-rate, etc. Activities can be organized into categories, and by location. 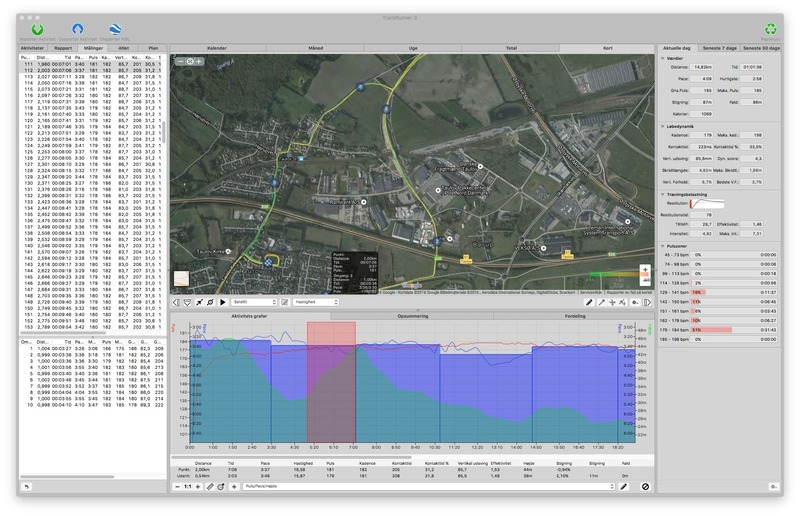 It can display your tracks on satellite images or custom-made maps, it lets you analyze your training data in details in various graphs, and it allows you to edit your data to correct bad readings. TrackRunner needs a rating. Be the first to rate this app and get the discussion started! TrackRunner imports most .gpx, .tcx and .fit files and - at least to some extent -Polars .hrm files. TrackRunner is free for you to try, but is considered Donationware, so if you enjoy the software and find it helps you train better, please consider donating.